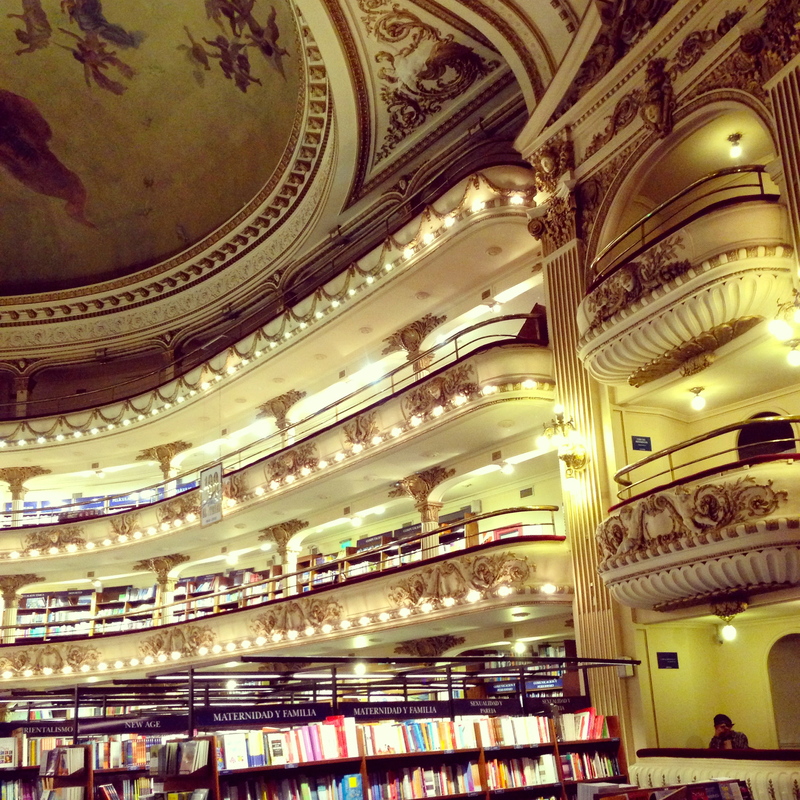 El Ateneo Grand Splendid in Buenos Aires is the closest thing you’ll find to heaven in a bookstore. Located in the area of Barrio Norte on Avenue Santa Fe near Callao, the building began its life as a theatre which opened in 1919. To say that it is magnificent is an understatement. It’s quite simply the most beautiful bookstore I’ve ever been in. Three floors of crisp printed pages waiting to be read. I only wish that my Spanish skills were up to scratch so I could sit and surround myself with the words of great writers. But for those who want to take some time out to read a few pages, or simply take a nap, then the theatre box seats are the place to head. The cafe which has great free wifi, is on what would have been the old stage of the theatre. So from here you can sit, sip some tea, read, surf the internet, write a blog post, people watch or simply pretend that you are performing for the crowd. 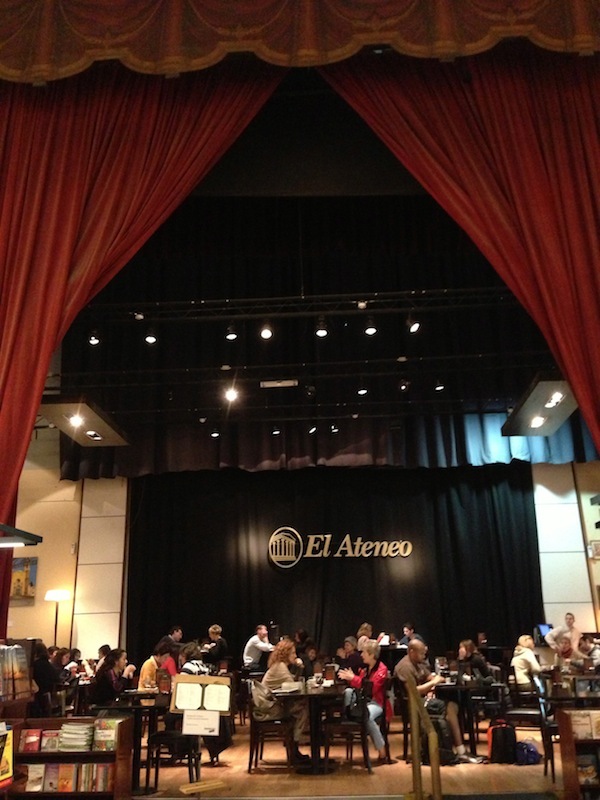 Compared to the chaos of Santa Fe Avenue outside, El Ateneo Grand Splendid is a haven of calm and quiet, with the faint tinkling of spoons against tea cups and the low whisper of conversations from those meeting friends in the cafe. I have a few hours left to enjoy this place before I leave on the bus to Mendoza, and I intend to make the most of it.